Pleasure Principle research papers examine the foundations of Freudian psychology, the idea that the human being will instinctively seek to avoid pain and seek out pleasure in the drive to satisfy psychological and biological urges. Philosophy research relies heavily on Freudian principles, as psychology and philosophy are very closely related. When writing a research paper on the pleasure principle for your psychology courses, remember that part of Freud's ideology is more of a philosophy. Need help understanding this concept? Paper Masters has qualified academic writers to write your research papers on the pleasure principle for you. One of the foundations of Freudian psychology is that of the pleasure principle, the idea that the human being will instinctively seek to avoid pain and seek out pleasure in the drive to satisfy psychological and biological urges. The idea was part of both the ancient philosophy of the epicureans and the Enlightenment thought of Jeremy Bentham. Greek philosopher Epicurus held that the purpose of life was to obtain happiness and avoid pain through balance. Jeremy Bentham, as the founder of utilitarianism, is summed up by the “greatest happiness principle” and heavily influenced John Stuart Mill. Sigmund Freud, in several of his research papers and writings, including The Interpretation of Dreams (1900) and Civilization and Its Discontents (1931), held that the mind seeks out pleasure, linking the pleasure principle with the libido. The pleasure principle arises out of the id, which rules behavior during infancy and early childhood, when immediate gratification is sought. Freud contrasted the pleasure principle with the reality principle, the ability of the conscious mind to analyze the world and act appropriately, delaying instant gratification. This is a function of the ego, which assures pleasure through reality and postponement of the drives of the id. Maturity is the process where one learns to endure delayed gratification. Kant and Utilitarianism Research Papers look at a sample of an order placed for a comparison between two philosophical approaches. Utilitarianism and Relativism research papers look at the similarities of these philosophy viewpoints. 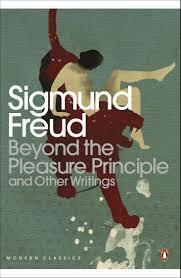 Freud research papers discuss Freud and his psychological theories. Order a research paper on Freud from Paper Masters. Dream Symbolism research papers examine the symbolic representations of the subconscious mind and discuss how the images that appear in a dream frequently contain deeper meaning. Human Psyche Research Papers discuss the the three parts or processes of the human psyche, which include the Id, the Ego and the Super Ego. The ego stands in between these higher thoughts of the superego and the lower passions of the id. Paper Masters writes custom research papers on Pleasure Principle and examine the foundations of Freudian psychology, the idea that the human being will instinctively seek to avoid pain and seek out pleasure in the drive to satisfy psychological and biological urges.